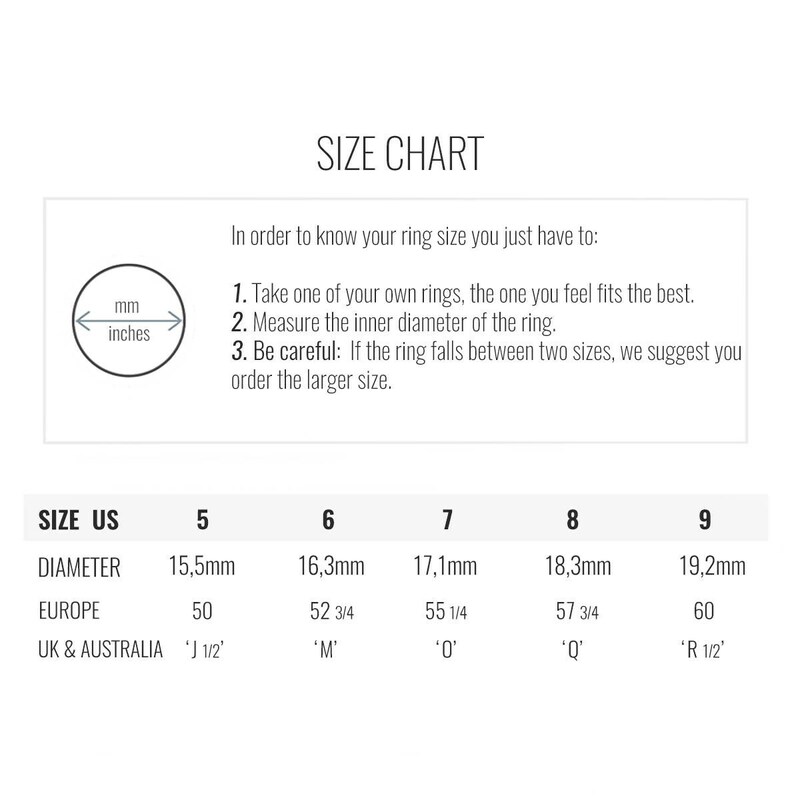 - Only one Ring (you choose the mineral color). Wear them together or separeately. - We offer the after sale service of gold plating. (personalized microns), only for jewels purchased in this shop. - We select the best stones but if there is a tiny imperfection is due to it is a natural stone. Rose quartz stone properties help to calm down and it is considered the love stone. 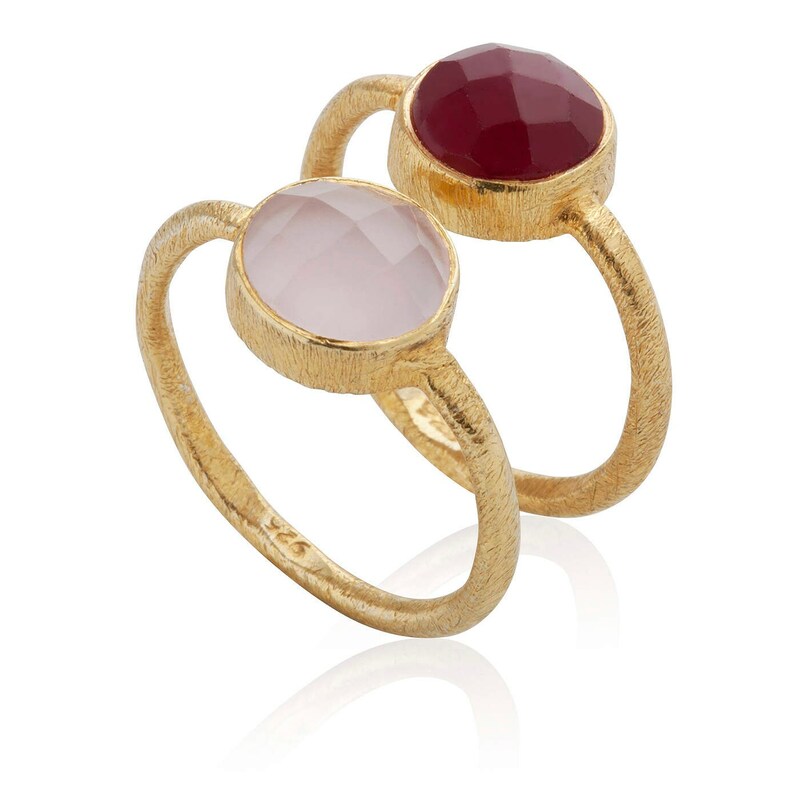 The centerpiece of this gemstone rings are a deep garnet and rose quartz round-cut stones. This is set in a sterling silver hoop which is then gold-plated and sandblasted, giving this jewel a unique tone and texture. 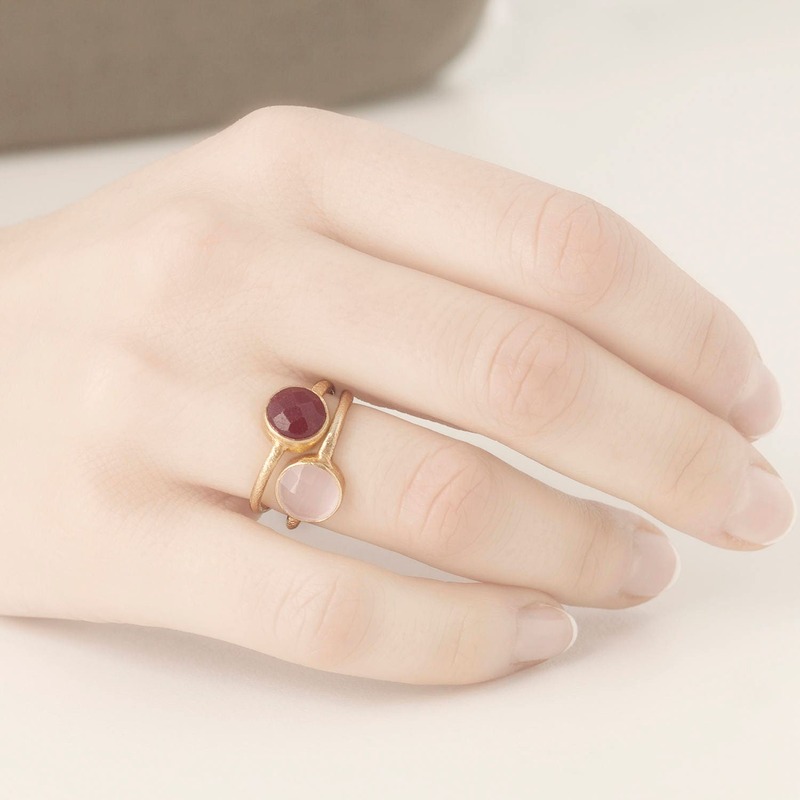 Get carried away with the magic of gemstone rings. 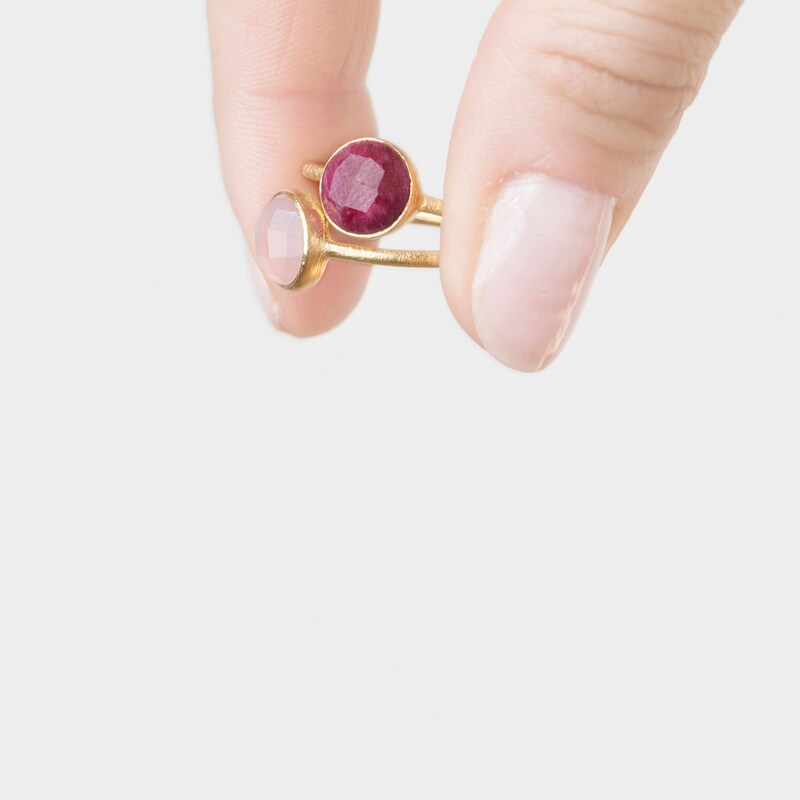 We have known for thousands of years that gemstones are a natural element of this planet and a beneficial source of energy for the body and the human mind. 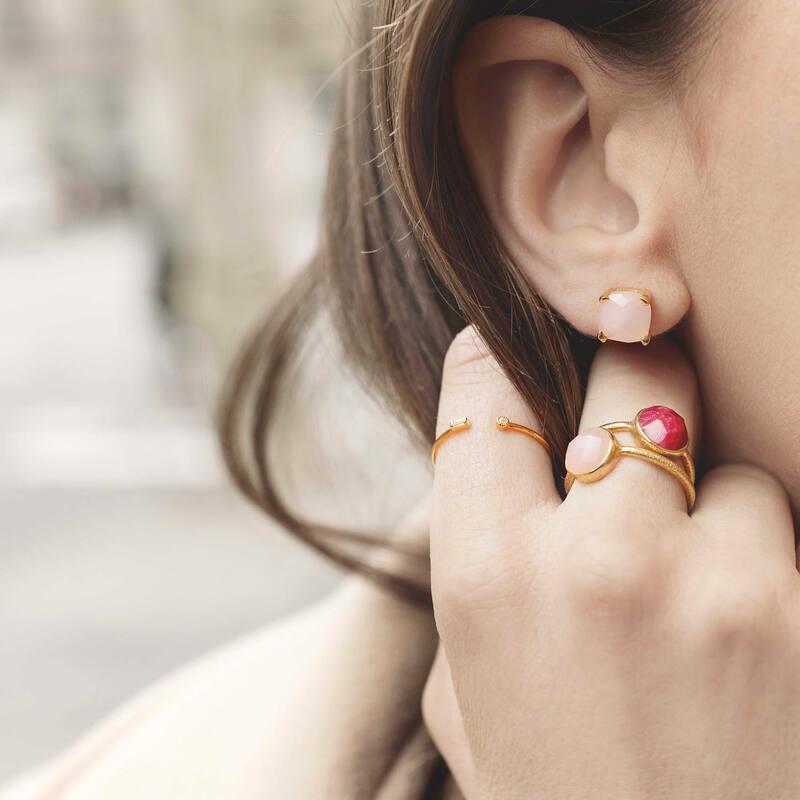 Now you can discover for yourself the beauty of mineral rings! 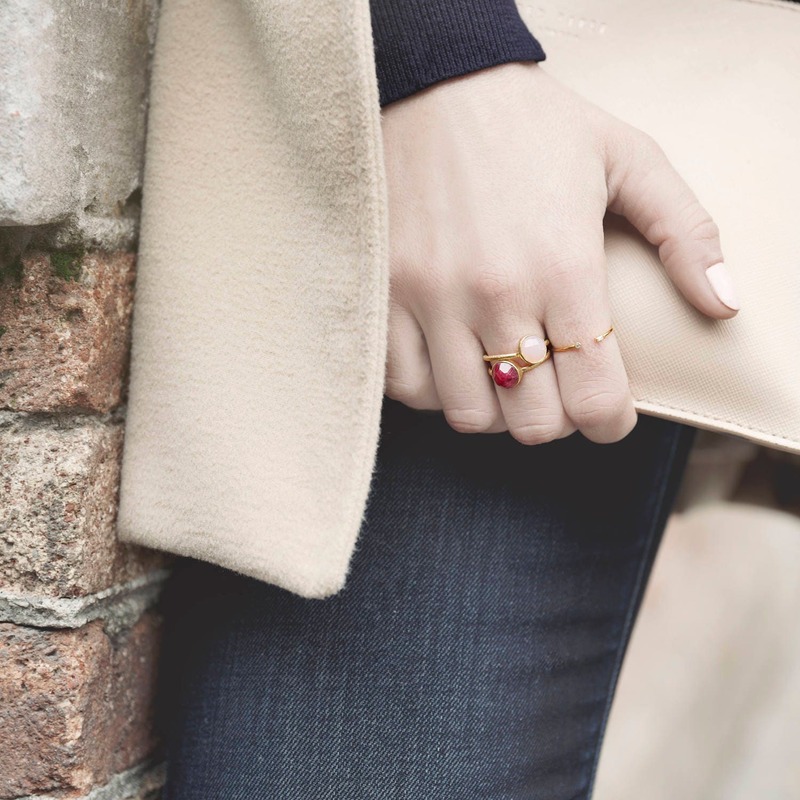 I really love this simple, elegant ring! Cute in person but seems pretty fragile. Very pretty and dainty though. I liked it very much. Very good workmanship and quality job.